FishHawk Schools- Stowers, Barrington, Newsome. Gated community of Enclave at Boyette- community of 63 homes. Peaceful living, featuring a dog park and a large wooded park. 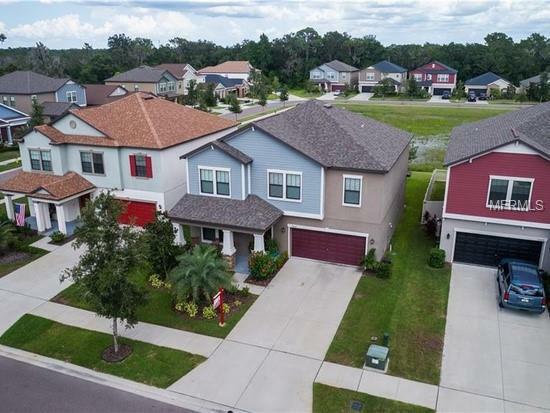 The community is surrounded by the FishHawk Creek Preserve. This home is 2,947 sq feet of living space and has 4 large bedrooms, 2.5 bathrooms, and a two car garage. The bath can make for a great pool bath as it has a French door to the backyard. There is a built-in desk area off the garage for in-home work or homework station. The formal dining room in the front of the home is elegant and has a pass through to the kitchen. The expansive kitchen features a large island, walk in pantry and extra counter/cabinet space to act as a dry bar. Kitchen/Family Room/Caf blend together to give everyone an open feel of comfort. 19x16 bonus room upstairs with closet along with large bedrooms. Master suite is fully equipped double sinks, separate toilet, separate shower stall, garden bath, and a huge closet with access to the laundry room. 18x18 diagonally laid tile throughout first floor, ceiling fans in family room, bonus room and all bedrooms, blinds on every window, granite in kitchen and all bathrooms, all stainless steel appliances including refrigerator, pendant lights in kitchen, coach lights for exterior. Large front porch with extensive stonework and decorative pillars. NO CDD and low HOA fee. Listing provided courtesy of Insta Real Estate Solutions.